I’ve been thinking about the purpose of having a self-hosted blog and a Tumblr. Part of me wants to just write on Tumblr and forget the hassle of having another blog. Sure would be cheaper, and there are few other platforms that make it so easy to get writing up on the Internet. Maybe they can work together. This post is to test that theory. Unlike a lot of the “quit your job and follow your dreams” books, this one is rational, reasonable, and readily admits that jumping off such a cliff is not wise. Instead, it argues that if you can make the time to do the things you should do, and we all seem to find the time to do those things that the world expects from us, you can make the time to do the things you must do. Disclosure: I might be biased towards these kinds of books right now, given that I’ve just quit my job. So I started to write the Weather Diaries. When I would go into the office every day, I would document what was happening with the weather. I got really into it. I would carry a pad around with me. Any little change I would jot down. I started to see the weather in a different way. It became very exciting when there was really bad weather because I would get to write about it. It led to all sorts of things. But my one responsibility to the project was to document the weather every day. 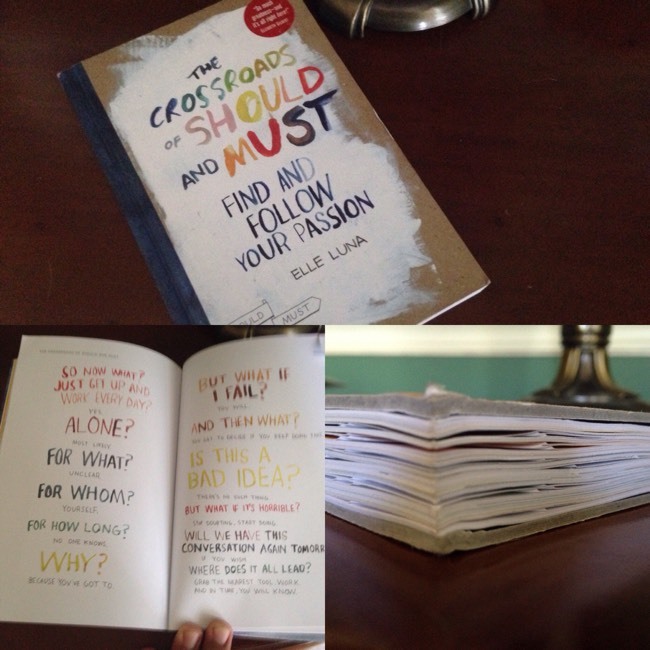 It was looking good, it was looking publishable: the world’s most tedious book. But then I had twins, and I started going to the hospital instead of the office. So it never got finished—it was going to be one solid year. And of course, springtime was rather lovely in London this year, and I think it’s because I paid it some attention last year. I think the weather needs people to pay attention. I’ve been fighting with myself over whether or not to use analog or digital in everything from work projects to thinking through ideas to just keeping an everyday journal. The truth is that there is magic to the analog. Putting pen to paper forces a bit more thoughtfulness. It also just feels nice to pull a halfway decent pen across some nice paper. Not to mention the permanence. Something that might be valuable to my kids down the road. The problem comes later, when you need to find something. Some people take pictures of notebooks or otherwise scan them into digital formats. That seems like too much work. 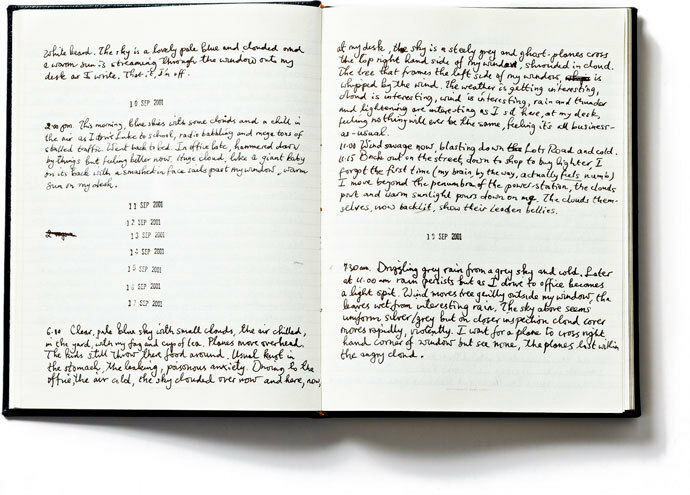 But, something like this, a daily weather journal, is a perfect use for a good notebook. Because it’s about the present. Mindfulness. All of that. Sure it could be done in digital, but why would you?